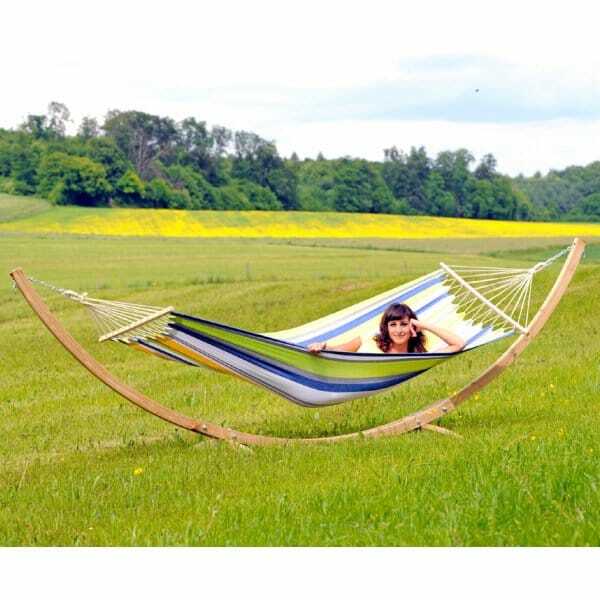 StarSet Hammock and Stand Set: The StarSet is a fantastic hammock set comprising of a Tonga hammock with spreader bars and a hammock stand. The hammock stand is elegant and hand-crafted from weather-proofed spruce which is highly stable and secure thanks to its high quality glue laminated wood structure. The hammock itself is made of EllTex and comes in two colour designs (Kolibri and Candy) the hammock material is weather and UV light resistant.